Well sort of. I’m out of the training funk I was in for about 5-6 weeks. But fitness follows training. My training has just started to climb up, my fitness is still in the basement I think. 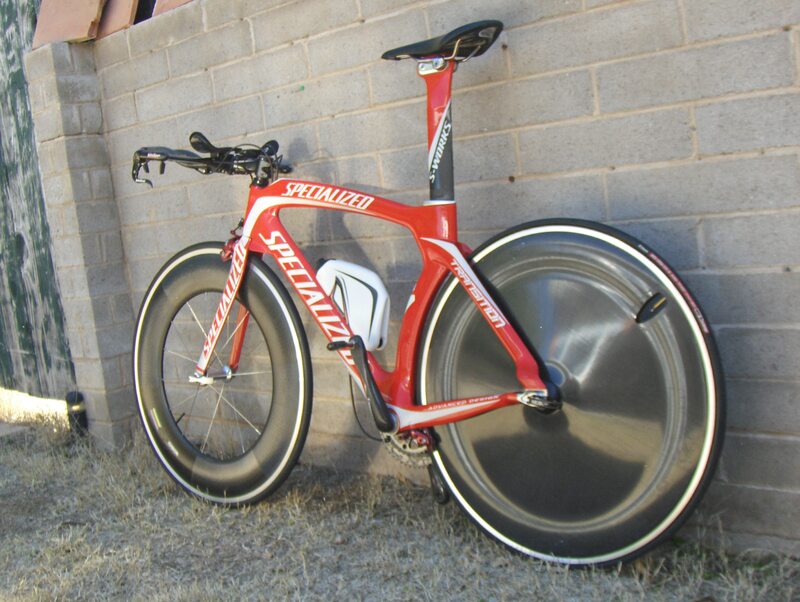 We’ll see this weekend at the Tempe Triathlon. Last year was a good hit out, placed 3rd overall. This year maybe a top ten? Maybe. We’ll see. The swimming has come around, went through 400 yards today in 5:15 with a bit of a negative split. Did some 100’s in 1:10. So if I can find some good feet, that part of the race should be ok. Hopefully this year it won’t be a 2k swim but the advertised 1.5k. The bike? Who knows. I’ll ride it set up like this. Hopefully it’ll prove to be a good day. The weather is looking good, mid 90’s for the high. Since it’s typically over 100F this time of year I’m not going to complain. The run. Another BIG question mark. Ran 12 this morning and my legs feel it. I just have to keep sticking in the miles since the big showdown with Jeff at Vineman 70.3 is right around the corner. He’s feeling cocky because got a bike fit from Kevin at Iron Gear Sports and he swam a 14 minute 1k the other night in open water. I’m not sure I even know how to swim that slow! Zing..Take that Jeff! So I’m looking forward to answering some questions and getting some data from this weekend’s race. There are a bunch of Accelerate 3 athletes racing this weekend, have a great race, go fast or I don’t know you! good to hear your getting out of the funk. Kick some this weekend! PS: the water bottle is not ST approved..to far for BB..